Fugitive emissions are unintentional leaks (as opposed to combustion emissions or intentional releases, which have their own set of solutions). Leaks can happen across the natural gas supply chain when valves, connectors and other equipment wear out and fail or when maintenance and operations aren’t up to snuff. Even though individual leaks might be small, when you add them up, fugitives can be an enormous source of smog-forming VOCs (volatile organic compounds) and methane, a highly potent greenhouse gas. In fact, emerging data point to the likelihood that fugitive emissions are an even bigger problem than previously thought. Last year EDF and nine of the nation’s biggest oil and gas operators participated in a University of Texas study that measured methane emissions at oil and gas well sites. One of the study’s key findings is that fugitive emissions are 38 times higher than U.S. Environmental Protection Agency estimates. And yet, until recently, fugitive emissions have been pretty much ignored in state and federal regulations. When EPA overhauled its rules for oil and gas air pollution in 2012, huge strides were taken to reduce pollution coming from a number of key sources. But the agency punted on well-site fugitives. Now, states are stepping into the breach. Wyoming – long a leader in taking on oil and gas air pollution issues – was first out of the gate. Last fall Governor Mead’s administration adopted new rules requiring oil and gas operators to implement leak detection and repair programs (LDAR) in the Upper Green River Basin – an area where intensive oil and gas development has led to unhealthy spikes in ozone pollution. Under the program, operators will scan their well-sites on a quarterly basis with infrared cameras or other hydrocarbon detection instruments and make timely repairs. Colorado came next – in February adopting the nation’s first, and still only, regulations that directly target methane pollution from oil and gas operations (so far, other state and federal rules have targeted VOCs and other air pollutants, with methane reductions coming as a corollary benefit). Real credit goes to Governor Hickenlooper for putting methane regulation on the agenda and not backing off in the face of opposition from the just-say-no crowd. The new Colorado rules represent the boldest, most comprehensive oil and gas air regulations in the country – addressing a wide range of pollution sources from both new and existing wells statewide. Colorado’s LDAR program is tough but pragmatic. Well sites with the greatest pollution potential have to scan for leaks on a monthly basis. The largest tranche of wells – those in the middle range – must do quarterly inspections. The smallest wells have annual inspection requirements. Ohio joined the ranks last week with a policy that will require operators to find and fix leaks at new unconventional oil and gas wells on a quarterly basis. This comes as part of a rapid string of new rules and legislative efforts Governor Kasich has advanced to get ahead of the game, so Ohio is prepared for development of the still-nascent Utica Shale. One of the first things you notice is that these groundbreaking rules aren’t coming from the Birkenstock states. 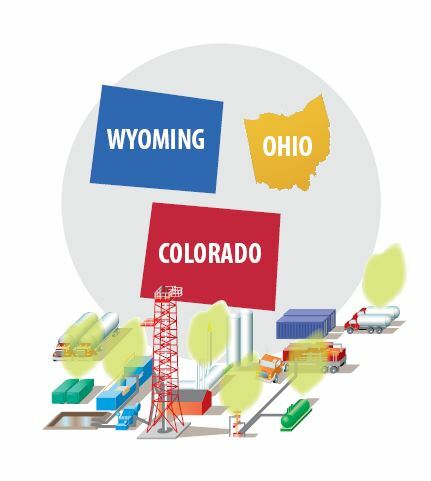 Wyoming, Colorado and Ohio are all major oil-and-gas producers with long histories of depending on energy production as a cornerstone of their state economies. And these governors, two Republicans and one Democrat, are anything but anti-industry. 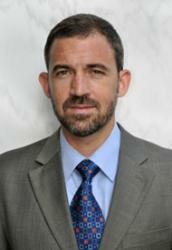 They welcome oil and gas development and what it can mean for jobs and their state economies. These governors also know that development can’t come at the expense of communities, public health and the environment. So, they’ve been leaders in charting a path forward – and they’ve been rewarded for their efforts by support not only from environmental organizations and local communities, but from leaders within industry too. The Wyoming rules were supported by a multi-stakeholder task force that included key operators in the state. In Colorado, the framework for the rules was developed through negotiations between EDF and three of the state’s most important oil and gas companies – Noble, Anadarko and Encana. And the recently adopted Ohio rules have been met with a positive response from the Ohio Oil and Gas Association. No doubt, there are some who will always fight progress on oil and gas oversight – just as there are those who will always throw rocks, content to let the perfect be the enemy of the good. That’s just how the game is played. But the Wyoming, Colorado and Ohio examples show that when officials step up and show true leadership, the majority in the middle will come with them. There are lessons here for the White House, which just two weeks ago announced a strategy for addressing methane from oil and gas operations and other major sources. The Obama Administration took an important step with this announcement and rightly noted that, for the effort to be successful, federal officials need to flesh out their strategy in cooperation with the states. We couldn’t agree more – and we can think of three states that would be pretty good places for that dialogue to start. This entry was posted in Air Quality, Colorado, Methane, Natural Gas, Ohio, Wyoming. Bookmark the permalink. Both comments and trackbacks are currently closed.